Long-time Flora native and resident, Micheal W. Engelmeier, has joined the staff of Kohn Funeral Home of Flora, Illinois as a licensed funeral director. 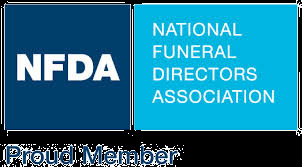 Micheal brings over 43 years of funeral service experience having first served Flora as a funeral director and ambulance attendant at a local funeral home before later purchasing the former Cardascio Funeral Homes. He and his wife were owner partners of Hosselton Bookhout Engelmeier Funeral Homes until 1990 when the homes were sold. Since that time Micheal has been providing Southern Illinois families with sincere, caring and dignified service. Micheal married the former Kristal G. Aldrich in 1971 and to that union two children were born, Rodd (Jodie) Engelmeier and Brandii (John) Engelmeier Newby all of Flora. They also have five grandchildren and one great grandson. Micheal is the son of Harvey B. and W. Jean Engelmeier of Flora. Micheal has been well-known for over 50 years as a local musician playing bass guitar for many local bands. He has also been a former member of many community organizations. He would like to invite you to Kohn Funeral Home for a get reacquainted visit and a cup of coffee. He is looking forward to once again serving his hometown community with Kohn Funeral Home. Daniel T. Fopay became a licensed funeraldirector/embalmer in 2010 while working at Neal Funeral Home to complete his apprenticeship. He started working a J. W. Neal Funeral Homes in 2009 when he graduated from Southern Illinois University with a Bachelors degree in Mortuary Science. Daniel worked at Neal Funeral Homes in Louisville and Kinmundy until 2012 when he left to begin working at Southwire in Flora. Daniel has kept his funeral director/embalmers license and has worked part-time at Neal Funeral Home, Hosselton Funeral Home and at Kohn Funeral Home as an independent contractor. Daniel is currently employed at North American Lighting asa W. I. P. coordinator and will continue this employment in addition to Kohn Funeral Home. Daniel is a Clay County native and resides in Flora with his wife of four years, Felicia Brown-Fopay and their three beautiful children Elam, Quincy and Piper Jo. Daniel and his family enjoy going on walks and spending time with family and friends. When Daniel was getting ready to go to college someone asked him if he did the right thing that day, he responded "I always try". They then told him of a Mark Twain quote that has become something Daniel tries to model his life after, "Always do right. This will gratify some people and astonish the rest."